When I decided to head for the continent that was furthest south except for Antarctica, I thought I could easily see plenty within 3 weeks in Australia. I was rather naive. Australia was enormous. And distances are incredibly far. My Australia itinerary for 3 weeks was far from good enough. So how to best plan a 3 week Australia vacation? 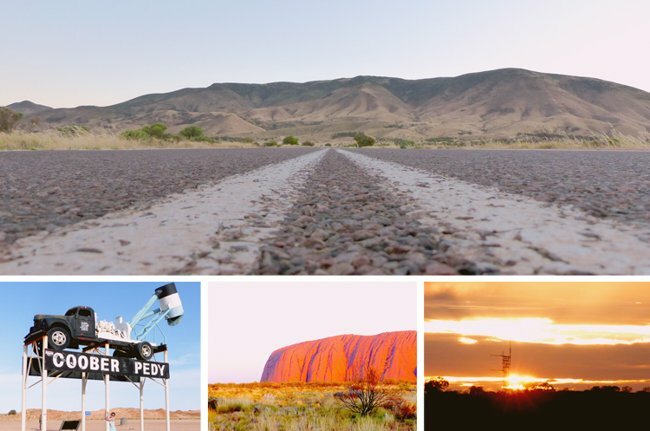 Here are my personal, tried-and-tested tips on where to go and how to conquer the outback or go on an epic East Coast Australia road trip. Take for instance my trip along the West coast from Perth to Exmouth. It is longer than if you would cross the UK from top to bottom. Our this road trip in Australia took 5 days and on one day it was a 650km drive. Long hours, you can be sure. Same goes with Adelaide to Perth or Darwin. Calculate 2 weeks in Australia to actually make it worth your while and include sights and roadhouses into your trip planner for Australia. You wouldn’t want to miss the attractions inbetween either, now would you? 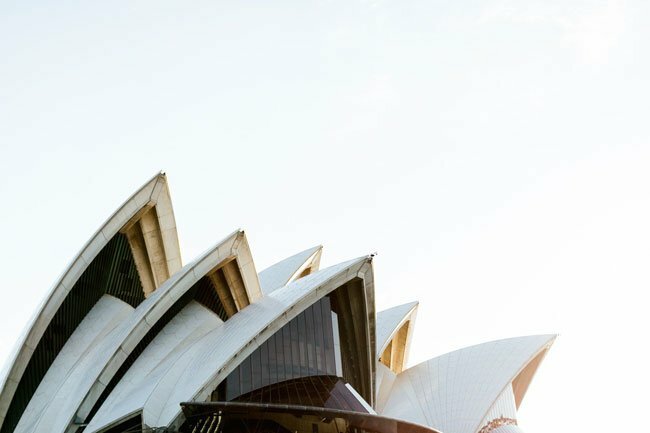 If you want to go on a three week trip to Australia, there are three options to do plan your Australia travel itinerary. Either travel Australia by public transport, such as trains and buses, join a guided tour or self drive. Each one has its merits and drawbacks and should be adapted to the traveller’s purposes and personal preferences. For a solo female traveller, such as myself, only the first two were an option for me. Seeing that it is an actual possibility of dying in the outback, travelling Australia alone bears the highest risk – especially for those foreign to and inexperienced in Australia. Having said that, if you take the necessary precautionary steps during your month in Australia, use your common sense and drive safely during your three week trip to Australia, then there should be nothing to fear. After all, the highways are super straight and in good shape. Even though the traffic is scarce at best (once it took us 2 hours to see another car), there is always a truck driving by and road etiquette dictates to stop and as for help if there seems to be need for it. Before doing your 3 week trip to Australia, it is absolutely necessary to inform yourself about the weather. Generally, you can divide Australia into two parts. The Northern part has two seasons: dry and wet season. The southern part has the usual four. Just don’t forget that everything is “upside down”, meaning that in summer it is relatively cold and winter is super hot. The more you go down south, the colder it gets with Tasmania having a similar weather to New Zealand, thus mild and never really hot. A special mention goes to Melbourne. As the locals like to say, it has 5 different seasons in a day. Mentioning the last one is not child friendly as it starts with an F. I think you get the idea, but just for illustrational purposes, picture a super hot day, you’re melting and changing your clothes from a jacket and jumper (the morning was cold) to thongs (which is Australian for flip flops) and airy clothes. Once I arrived in the CBD (with all the amazing graffiti alleys), it is suddenly very breezy and fresh and you would have needed the jacket. It might start to rain as well. Get your free Australia flying times here. Australian weather can be quite drastically different between North and South – depending on the season. In September, you can get super chilly nights and warm days in the outback, so packing an autumn/spring sleeping bag to use in your swag during your outback camping trip is a great idea. Wear as little as possible inside the sleeping bag. For outside, however, an all weather jacket is a great idea – especially if you are staying in Melbourne. The weather can change multiple times per day and the more southeastern you are, the colder are the Australian winters. The Great Ocean road especially can be very windy and rainy. To explore the bush, pack sturdy hiking boots, insect repellent, enough 50+ sunscreen, a big refillable water bottle, hand sanitiser, a sunhat, sunglasses and coal tablets in case you get food poisoning. For beaches, back your swimwear, sunglasses, plenty of 50+ sunscreen, after sun lotion, nice thongs (that’s Australian for fip flops) and a beach towel. In case you are planning on epic photography, do not forget to pack your backpack with a tripod, polarising filters, UV filter and maybe even a case to protect it from sand and water. A Go-Pro is actually a great investment as you can easily take it along sandboarding rides, dives along the reefs and while swimming in a volcano in Queensland. I had eight months to travel the country and still have areas, I did not see at all. But from what I saw, there are so many places I can highly recommend (here are my top 25 Australian bucketlist spots). 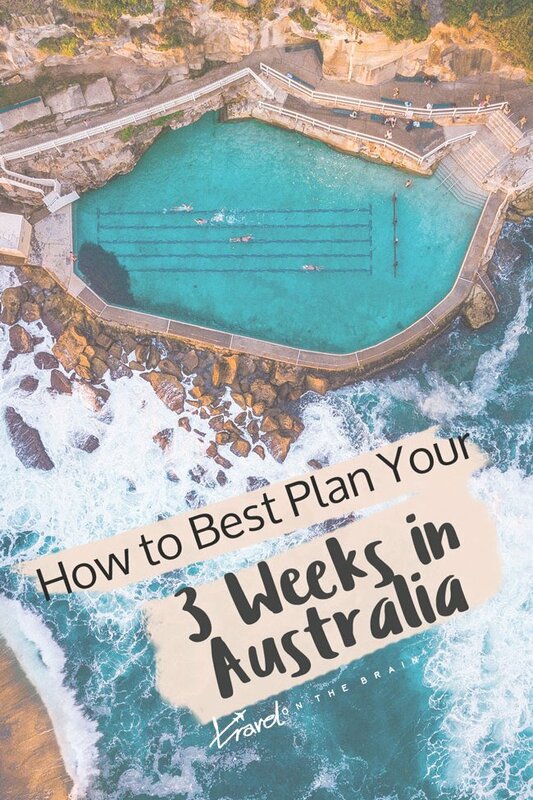 Out of these, I mapped together three different itineraries to help get you started because I know fully well how overwhelming a Australian vacation can be. Fly into Sydney and work your way up the coast (or the other way round). Spend at least three days in the capital of North South Wales. Start the day with the busy morning markets of The Rock, then take the beach walk starting from Bondi going south. Visit Darling Harbour before sunset to see the radiant Opera House and the harbour lights switching on, then choose one of the many bars. Head up to the Blue Mountains for a day hiking and refresh yourself with food for the tummy and mind in the artsy villages. Later on, take a harbour stroll at Port Stephens and ride the camels in the sandy dunes nearby. Visit Port Macquarie for a day and stroll along the board walks in the gumtree forests and next to the swamps before getting close to sleepy koalas. During whale season, you can often spot the big ones playing in the water from the beach or take a boat trip, which is the cheapest you can find in Australia, so I’ve been told. If there is one coastal town, I encourage you to not skip, it’s Byron Bay. Even if you are not into yoga or surfing, this place is so relaxed and beautiful, you’ll love it. 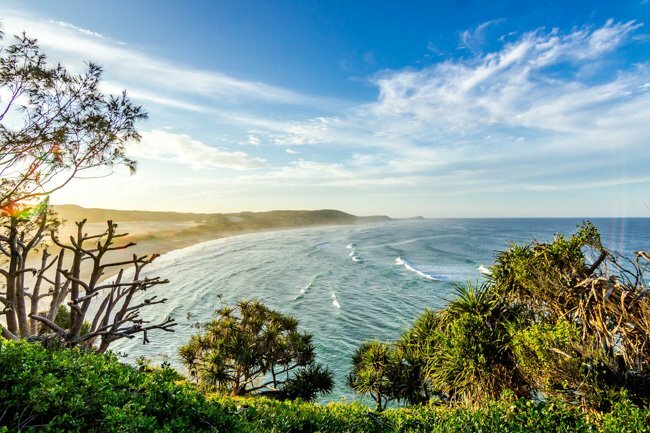 Best attend it during the annual Byron Bay Surfers Festival! Great restaurants and quirky cafes are found all over Brisbane, but the best ones focus around Southbank and Spring Hill. Don‘t forget to check out the free museums and the laguna in the city centre. The ferry crossing on the river is free as well. Steak should be had in the steak capital, Rockhampton, where you can also attend the annual cattle show. If you’re a vegetarian, you can safely skip this town and head to the Capricorn Caves. For an island experience with koalas, white sandy beaches and coral reefs in the many bays, you absolutely must see Magnetic Island. Townsville is rather boring, but has a nice mountain to climb (so tough!) with a stunning sunset view over the ocean. The Night Market in Cairns is a great spot to try Asian cuisine, from Korean shaved ice cream to Japanese ramen, you can grab a bite and stroll through the many souvenir shops. This makes for the perfect break in your three weeks in Australia! 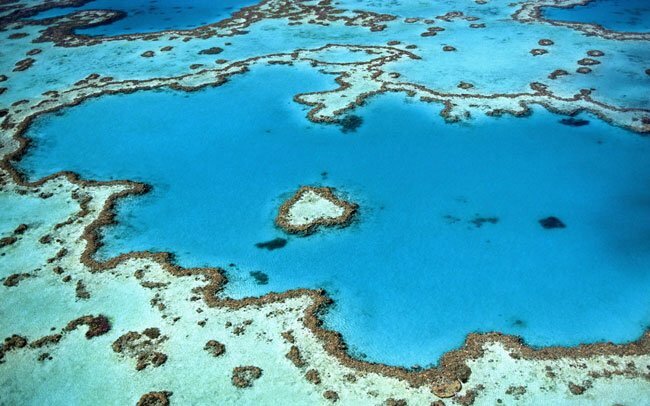 Then, sail out to the Great Barrier Reef from Cairns. From Cairns, take a day trip to Atherton Tablelands, then another one to Kuranda and then head to Cape Tribulation. 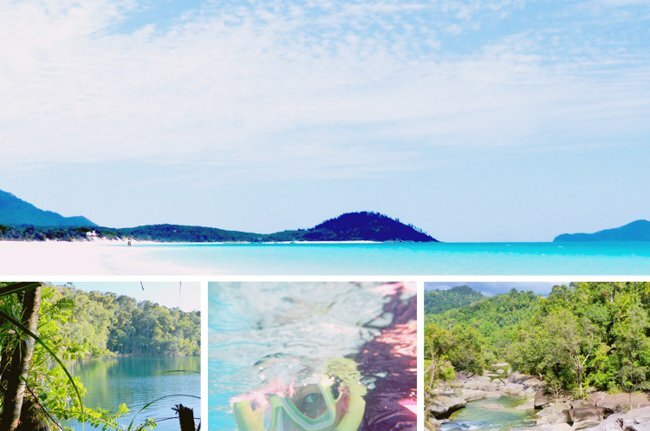 Afterwards, fly to Darwin and visit the Mindil Beach Sunset Market, take part in a crab race in the many bars and party with backpackers at night. Both Cairns and Darwin are ideal cities to include into any Australia trip for partygoers. Next day (don’t party too hard! ), visit Litchfield and in particular the Wangi and Florence Falls as well as the cathedral termite mounds. Stay over night along Stuart Highway, such as in Pine Creek, and head down to Katherine Gorge for a hike or kayak tour. Mostly, you can swim in the gorge but there have been some saltwater crocodiles spotted every now and then and I personally wouldn’t take the risk during your Australia trip, even if there is an alarm buoy set up. But that’s entirely up to you. Do not skip on Kakadu National Park and visit Ubirr, the Mamakula Wetlands, Jim Jim Falls & Twin Falls and Mary River, which is swarming with hungry crocodiles. Do not go there alone, take a guided tour! If you want to have Kakadu and Litchfield day trips taken care of, why not join a small, guided tour? Head back to Darwin to conclude your 3 weeks in Australia. Start your Australia trip in Melbourne, where you can spend two days eating all the yummy food you can (try the cheesecake and pavlova), stuffing your face at Breadtop (a Japanese bakery chain), eat giant pancakes and do a Tim Tam Slam because you’ve arrived in Down Under. 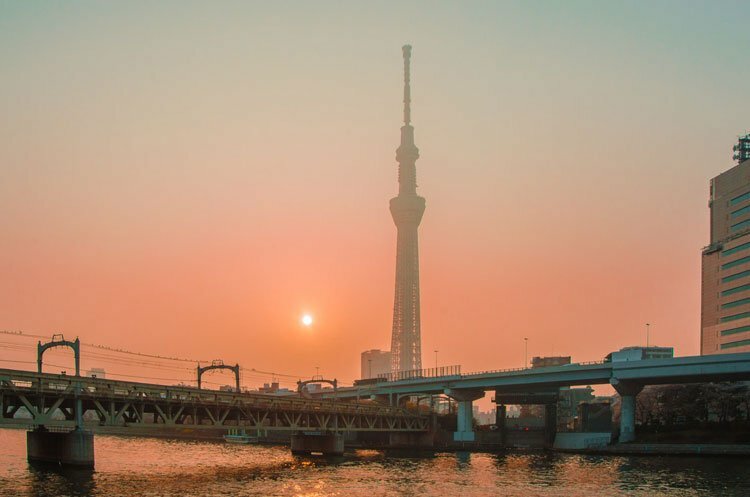 Visit the graffiti lanes, walk through the old shopping centres, marvel at the eclectic architecture, hit up the Eureka Skydeck at sunset and maybe even attend the Fashion Week. Check out the tiny fairy penguins at dusk near St Kilda (do not touch or use flash and only have red light in your torch) and take part in the busy nightlife. 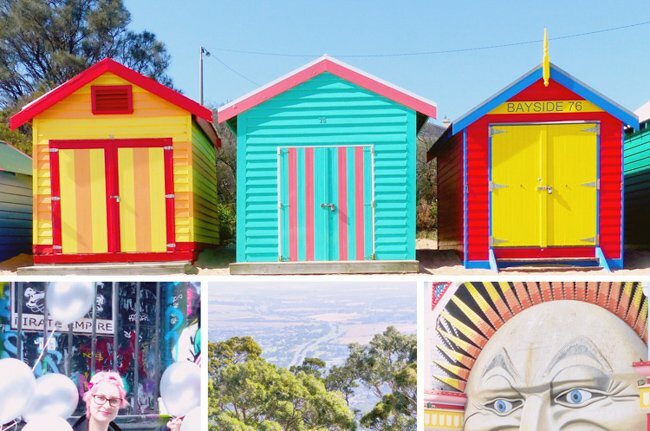 Visit Brighton Beach for the iconic colourful beach huts and a beach day out. For a day trip to see more penguins, wallabies, red rocky beaches and dangerous cliffs, hit up Phillip Island or hike through Wilsons Prom to get a feeling of how Tasmania looks like. Take at least two days to travel the Great Ocean Road, take warm weather-proof clothes and make a lot of stops besides the Great Apostles (here is my quick guide to the Great Ocean Road). Stay overnight at Port Fairy or Anglesea, for instance. Then, hit up the Grampians for some mountain hiking and dangerously good views. There are different paths and all of them are stunning. 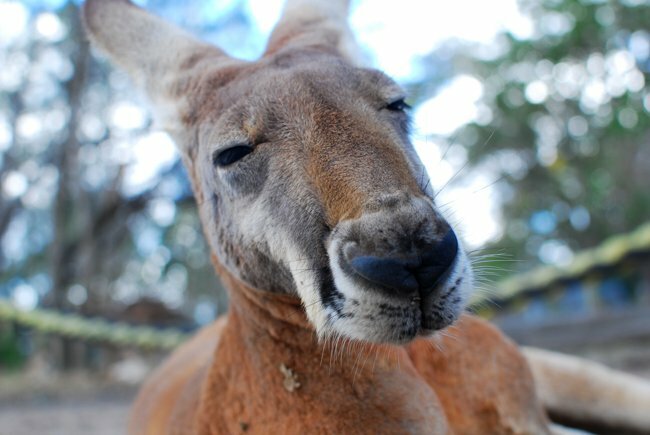 Try the Balcony and KacKenzie Falls and see loads of kangaroos in Halls Gap, where you can stay the night. Stop for a day in Adelaide for some free walking tours (as well as a chocolate tour), head to Glenelg beach and maybe hike Mount Gawler if you still feel fit. Head to the Barossa Valley for some wine tasting and visit Kangaroo Island for at least two days to see a mini version of Australia. It’s green, and red, has a Little Sahara dune landscape, typical and rare Australian animals, you name it. You must see the sea lions and Flinders Chase. From Adelaide, drive up to Flinders Ranges and hike the Alligator Gorge, which leads you down between red rock walls and eerie white trees and up overlooking the mountain range. It will take your breath away! Take a detour to Lake Eyre to stand on a pinkish salt lake if it is dry enough (otherwise don’t go on it, you will hate yourself for it – the salt on your clothes and shoes will reek and you won’t get it off). Drive up to Coober Pedy today the night underground and before sunrise, take a photo of the many digging hills. In the morning, search for opal in the dumping fields (don’t walk anywhere else outside of town or you might plummet into holes) and visit the kangaroo orphanage. Drive up to Uluru and stay the night at the resort area. Next day, visit Uluru, do the base walk (here’s why you should not climb Ayers Rock) and then hike Kata Tjuta the next day. Go back to your camp and the next day, hike Kings Canyon starting early in the morning (it will get hot and might be closed later on) and schedule in four hours. Then drive to Alice Springs. Rest your head in Alice Springs, then visit the Royal Flying Doctors museum and do a little hike to the telegraph station as well as the real Alice Springs to discover that they are no springs at all. Go up the Anzac Hill Lookout for sunset and don’t walk the streets alone at night. If you still feel your legs and a lust for adventure after your 3 weeks in Australia, head to the MacDonell Ranges. Drive from Adelaide to Port Augusta and Streaky Bay for refreshment stops and coastal lookouts. If you want to, you can swim with the tuna or seals near Port Augusta. Drive on to Ceduna and Fowlers Bay and across the treeless Nullarbor plain to the Border Village between South Australia and Western Australia. To take the epic kangaroo on the beach with the backdrop of ridiculously blue waters, you must visit Cape Le Grand National Park. It is one of my favourite spots in Australia and you can spend two days hiking here and hanging out with the local wildlife (don’t touch or feed!). 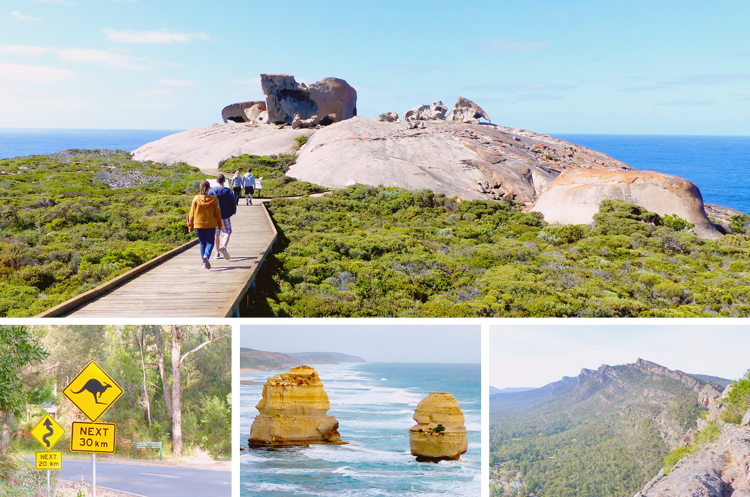 Afterwards, drive to the Valley of the Giants, hike Frenchman’s Peak and visit Margaret River. This is a surfer’s paradise and a great sunset spot. There are also yummy foodie spots around. Drive up to Perth and spend two days there before you drive up to the Pinnacles and the stromatolites, both witnesses of a long distant past. 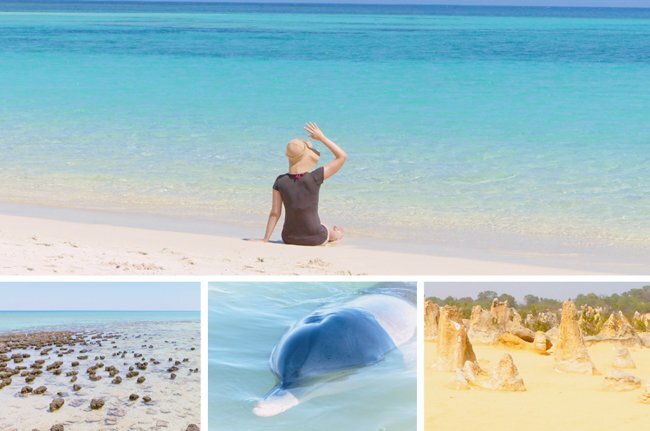 Visit shell beach (hurts your feet and is super shallow but it’s very pretty and you can float due to the large salt content) and then go hit up the Dolphin resort in Monkey Mia at night and go to the dolphin feeding in the morning. Then, include Coral Bay for a swim in the ocean in your 3 weeks Australia itinerary and visit Nature’s Window before you return to Perth. Note: Don’t be fooled by how short this Australia itinerary for 3 weeks is. The driving takes long! Never underestimate the outback and dangers of Australia. Even cute animals like koalas and wombats can easily hurt you awfully if you are stupid enough to approach them in the wild. Always watch out where you’re going (snake alert) and avoid flip flops (Australians call them ‘thongs’) when not on the beach or in cities. Wild camels are nothing to fall in raptures over. They are dangerous and should never be approached. Just watch the film Tracks if you want a visual demonstration. Don’t pack white or light clothes for any outback trip during your 3 weeks in Australia. They will never be white again once they have come in contact with the red sand that gets everywhere. It won’t wash out. Trust me, I’ve tried. Always have at least a two litre water bottle with you during each day of your Australia vacation. The rule of thumb is to drink a litre every hour you walk out in the sun in the bush. Wear hats, too. Use a four wheel drive for outback trips (release air from the wheels when on beaches), always have the tank full, pack enough water and food and use eskies to keep food fresh but stock up or replace it as soon as possible. You don’t want to end up with food poising in the middle of nowhere like I did. There are not as many toilets in the wild as you would like and those that are there, usually are a hole in the ground with no running water or soap (or with only soap but you realise that too late). Just because you can’t have a shower, doesn’t mean you can’t clean your hands. Pack and use hand santisiers! 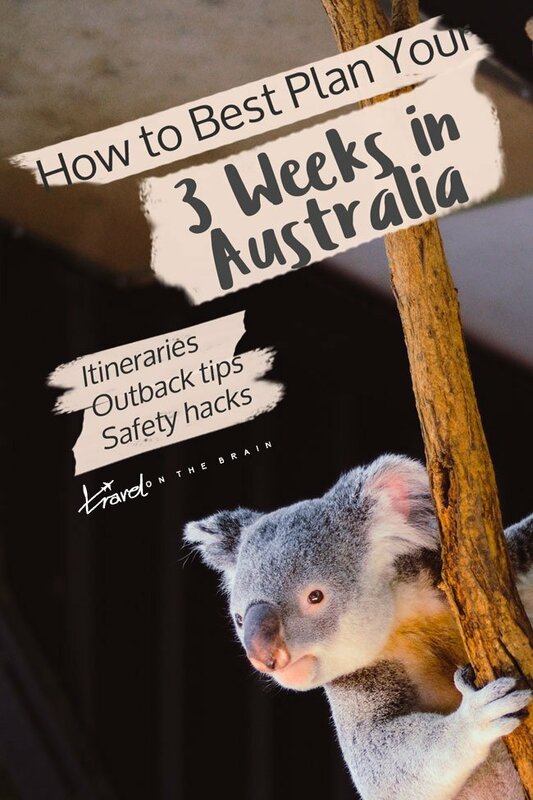 By the way, if you need more tips on what to do when you visit Australia, check out my trip planner Australia. For outback camping, read this vital guide. 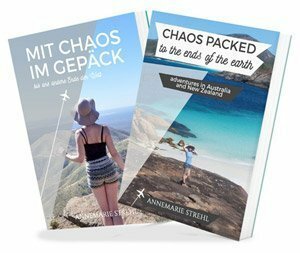 Do you have any questions on planning 3 weeks in Australia? Commentz below. Did you know about these Jawdropping Cherry Blossom Spots in Japan? Hi Anne, thank you so much! 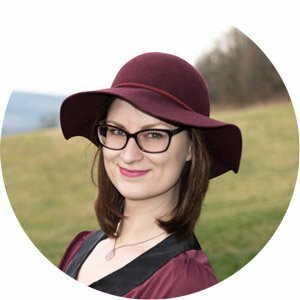 How is life as an au pair in Melbourne? I nearly became one there as well but I wasn’t fine with the parents telling me to hit the kids when they misbehaved so I didn’t take the job. What is your favourite part of Melbourne? I really like watching the sunset from St Kilda and seeing the little penguins come to shore. I am thinking I would like to do 10 days in the out back and maybe 11 day betwen sydeny and melbourne?advice on how to do that? Hi Kate, as I was travelling solo and Australia isn’t the safest country, I highly recommend joining a small group tour like I did. (Here are my travel diaries.) 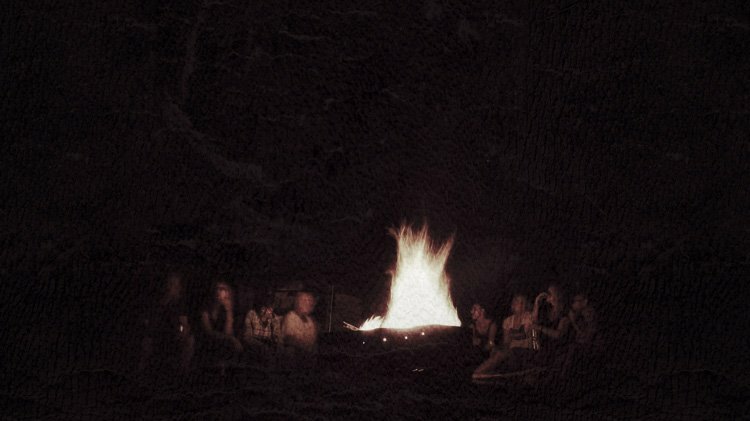 It was the best to get to know the outback, mingle with fellow adventurers and see the best. I recommend a trip from Melbourne to the Great Ocean Road and up to Uluru. From Uluru to Cairns, it gets a bit boring. But book flights from Alice Springs waaaay in advance cause they are expensive. 11 days in Melbourne and Sydney are quite a lot if you don’t want to go on day trips (such as Wilsons Prom or Blue Mountains). 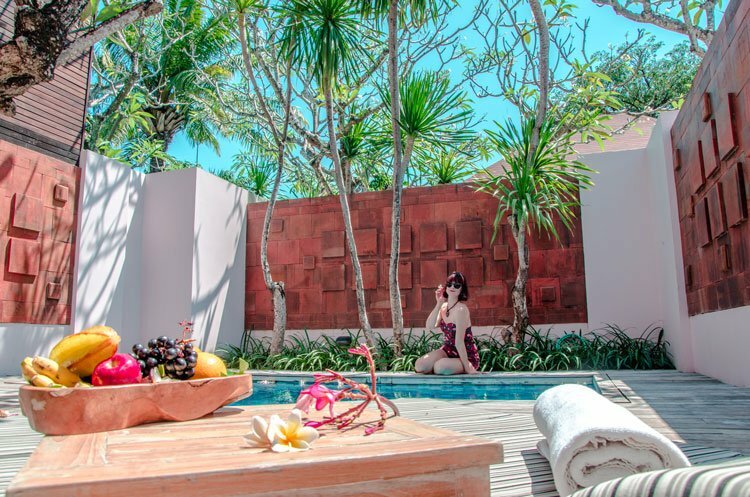 But if you want to recuperate from a fast paced travel itinerary I get that. There are plenty of seaside walks and foodie places in both cities, so you will definitely not be bored. I wish you lots of fun!